We North Americans do love our dietary supplements. More than half of the adult population have taken them to stay healthy, lose weight, gain an edge in sports or in the bedroom, and avoid using prescription drugs. In 2009, we spent $26.7 billion on them, according to the Nutrition Business Journal, a trade publication. Because of inadequate quality control and inspection, supplements contaminated with heavy metals, pesticides, or prescription drugs have been sold to unsuspecting consumers. And FDA rules covering manufacturing quality don’t apply to the companies that supply herbs, vitamins, and other raw ingredients. The lack of oversight leaves consumers like John Coolidge, 55, of Signal Mountain, Tenn., vulnerable. He started taking a supplement called Total Body Formula to improve his general health. But instead, he says, beginning in February 2008, he experienced one symptom after another: diarrhea, joint pain, hair loss, lung problems, and fingernails and toenails that fell off. “It just tore me up,” he said. Eventually, hundreds of other reports of adverse reactions to the product came to the attention of the FDA, which inspected the manufacturer’s facilities and tested the contents of the products. Most of the samples contained more than 200 times the labeled amount of selenium and up to 17 times the recommended intake of chromium, according to the FDA. Why are they still for sale? Two national retailers we contacted about specific supplements said they carried them because the FDA has not banned them. The agency has “the authority to immediately remove them from the market, and we would follow the FDA recommendation,” said a spokeswoman for the Vitamin Shoppe chain. Most of the products we bought had warning labels, but not all did. A bottle of silver we purchased was labeled “perfectly safe,” with an asterisked note that said the FDA had not evaluated the claim. In fact, the FDA issued a consumer advisory about silver (including colloidal silver) in 2009, with good reason: Sold for its supposed immune system “support,” it can permanently turn skin bluish-gray. Laser treatments have erased almost all the discoloration from Dowd’s face and neck, but she said it’s not feasible to treat the rest of her body. Consider the path to market of Go Away Gray, a product that is claimed to “help stop your hair from turning gray.” Cathy Beggan, president of the supplement’s maker, Rise-N-Shine, based in New Jersey, said that her company has not had to provide product information to the FDA. Nor did it conduct any clinical trials of the supplement, which includes a natural enzyme called catalase, before putting it on sale. Beggan pointed us to a study by European researchers published in the July 2009 issue of the Federation of American Societies for Experimental Biology Journal. The study found that gray hair had lower-than-normal levels of catalase but did not prove that taking that enzyme by mouth would stop hair from turning gray. “We are working on getting an actual clinical trial going because the results have been so amazing, and it would just be good to have some concrete data behind it,” Beggan said. The FDA had received its first adverse-event report about Hydroxycut in 2002, long before Parke started taking it. In May 2009, by which point Parke’s liver was already damaged, the agency warned consumers to stop using Hydroxycut, and the manufacturer, Iovate Health Sciences, voluntarily recalled some of its products, its attorney said. The company had frequently reformulated the product, according to the FDA, which said it didn’t know which ingredients produced the liver toxicity. The FDA said that Hydroxycut presented “a severe, potentially life-threatening hazard to some users” and had been linked to two reported deaths. Hydroxycut has been reformulated and is on the market again. An FDA representative told us the agency considers the new version acceptable. Amazingly, for the first 13 years after the enactment of the Dietary Supplement Health and Education Act (DSHEA), supplement makers didn’t have to inform the FDA if they received reports of serious adverse events, an obligation that’s required for prescription drugs. A law that took effect in December 2007 closed that loophole, and in 2008 and 2009 the FDA said it received 1,359 reports of serious adverse effects from manufacturers and 602 from consumers and health professionals. But even with the new law, consumers can’t easily find out which products are involved because the FDA doesn’t routinely make those reports available to the public. It’s against the law for companies to claim that any supplement can prevent, treat, or cure any disease except some nutrient-deficiency conditions. But in the past two years, the Federal Trade Commission has filed or settled 30 cases against supplement marketers, charging that they made exactly those kinds of claims. It reached a $7.5 million settlement with the QVC home-shopping channel. And the FDA has recently taken legal action against a few supplement manufacturers that claimed their products could prevent or treat a disease. The FDA and Congress have recently taken some action to strengthen the agency’s oversight, such as passing a law requiring that companies report serious adverse events. But much more needs to be done to keep consumers safe. In the meantime, here are steps you can take to make sure the supplements you use are safe and beneficial. Consult your doctor or pharmacist. Even helpful products can be harmful in some situations, such as when you’re pregnant or nursing, have a chronic disease, or are about to have elective surgery. And some supplements might be fine on their own but interact with certain prescription drugs. Your doctor or pharmacist can steer you away from such problems only if they know what supplements you’re taking or plan to take. Look for the “USP Verified” mark. It indicates that the supplement manufacturer has voluntarily asked U.S. Pharmacopeia, a trusted nonprofit, private standards-setting authority, to verify the quality, purity, and potency of its raw ingredients or finished products. USP maintains a list of verified products on its website. Consumers might be attracted to dietary supplements because they’re “all natural” and don’t contain the synthetic chemicals found in prescription drugs. But they might be getting fooled. “We’re talking about very serious risks and injuries that can happen to people—and often young people—who do not understand that they’re taking prescription drugs and steroids,” Joshua M. Sharfstein, M.D., the FDA’s principal deputy commissioner, told the U.S. Senate’s special committee on aging in May 2010. In 2005, eager to make the most of his baseball scholarship at Lincoln University in Jefferson City, Mo., Jareem Gunter started taking a supplement he found online that promised to improve his athletic performance and claimed to be “legal,” he recalls. But he soon began feeling fatigued, and when the whites of his eyes turned yellow, he said, he went to the hospital. “I woke up in the morning and the doctor was sitting by my bedside,” Gunter said. “He told me, ‘Your liver’s failed. You only had a couple of days left to live if you hadn’t come in. '” The supplement turned out to contain a synthetic steroid, which cost Gunter his scholarship, he claimed in a lawsuit that was settled before the trial date, according to public court documents. He’s now 27 and living in Oakland, Calif. His health is much improved and he is working for a charitable organization and playing baseball in his hometown league. These supplement ingredients are among those linked by clinical research or case reports to serious side effects. We worked with the Natural Medicines Comprehensive Database, an independent research group that evaluates the safety and effectiveness of nutritional supplements, to develop this list. We think it’s wise to avoid all the ingredients on it. Unless otherwise noted, there’s insufficient evidence to rate their effectiveness for their purported uses. Dangers listed are not meant to be all-inclusive. These popular supplements, listed in alphabetical order, have been shown to likely be safe for most people and possibly or likely to be effective in appropriate doses for certain conditions. Talk to your doctor or pharmacist before starting any supplement. Most supplements haven’t been studied in pregnant or nursing women. The list of interactions and side effects is not all-inclusive. (ademetionine, adenosylmethionine, S-Adenosyl-L-Methionine, sammy) Likely effective in reducing symptoms of major depression, reducing pain, and improving functioning in people with osteoarthritis. GI symptoms, dry mouth, headache, mild insomnia, anorexia, sweating, dizziness, and nervousness, especially at higher doses. It can make some people with depression feel anxious. Might lead to a toxic reaction when taken with the cough suppressant dextromethorphan, certain antidepressants, or narcotic pain relievers. Might worsen symptoms when taken with the Parkinson’s drug levodopa. 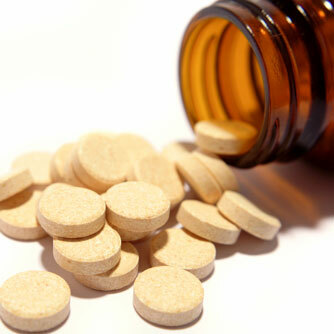 Categories: supplements | Tags: supplements | Permalink.